Who's ready for Halloween? This little fellow is! 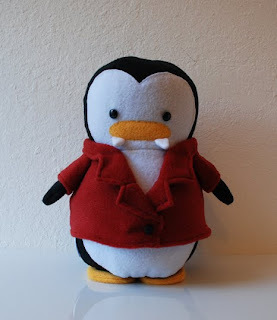 Vampire Penguin: Red collared shirt with a little black button, a removable black cape with red lining and vampire teeth! 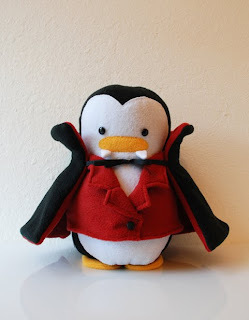 What Halloween costume would you choose for your penguin plush?